There is a home cinema tuner or AV switch box between your Xbox 360 console and your display that is interrupting the HDMI connection. Some home cinema tuners or AV switch boxes have an "HDMI pass-through" connection. 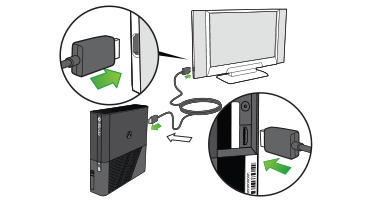 This connection lets you connect an HDMI cable from your Xbox 360 console to the device and then connect another HDMI cable to your display. Your Xbox 360 may not perform a proper HDCP “handshake” at the start of video playback when you use one of these devices. If this resolves the issue, contact the manufacturer of your home cinema tuner or AV switch box to resolve the conflict. Would you like to contact Support regarding the ""Secure HDCP link not found" error when playing a DVD or streaming a Netflix film on Xbox 360" issue you were reading about or a different issue?